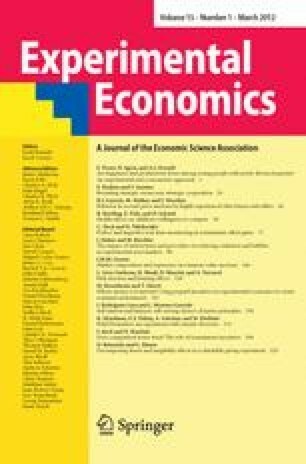 High rates of divorce in western society have prompted much research on the repercussions for well-being and the economy. Yet little is known about the important topic of whether parental divorce has deleterious consequences upon adult children. By combining experimental and econometric survey-based evidence, this study attempts to provide an answer. Under controlled conditions, it measures university students’ subjective well-being and productivity (in a standardized laboratory task). It finds no evidence that either of these is negatively associated with recent parental divorce. If anything, happiness and productivity appear to be slightly greater, particularly among males, if their parents have divorced. Using longitudinal data from the British Household Panel Survey—to control for so-called fixed effects—we then cross-check this result, and confirm the same finding, on various random samples of young British adults. The online version of this article (doi: 10.1007/s10683-011-9285-5) contains supplementary material, which is available to authorized users. National Center for Health Statistics (2008). Marriage and divorce. Retrieved March 3, 2008, from http://www.cdc.gov/nchs/fastats/divorce.htm.